(Photo Courtesy/Joe Maher) Top to Bottom: A pileated woodpecker, hairy woodpecker, and red-bellied woodpecker waiting their turn to eat. Today’s ‘Photo of the Day’ was sent in by Joe Maher of Harrisville. 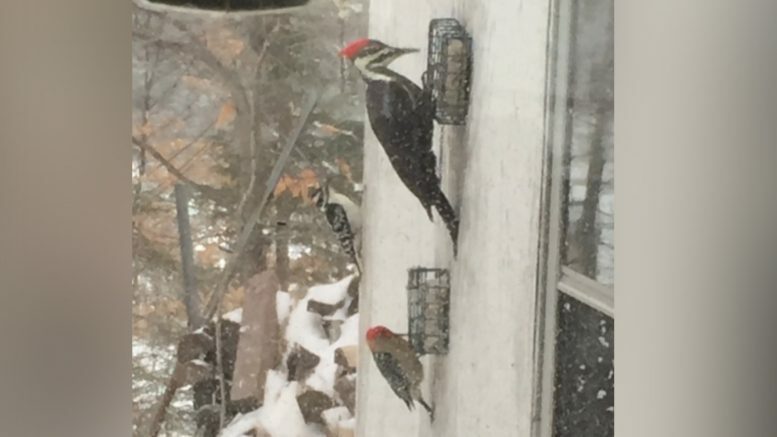 Joe took this photo of three different woodpeckers patiently waiting their turn to eat. If you have a photo that you would like to send to us, email it to news@wbkb11.com.